This post is more about enjoying simple pleasures and playing with the camera than gardening or cooking. One of the first tasks we undertook outside was the careful kärchering and weed eradication on our parking lot. The lot had, according to the neighbors, never been power cleaned in its history. We squirted up a very large amount of dodgy dirt and little plants from between the pavers. 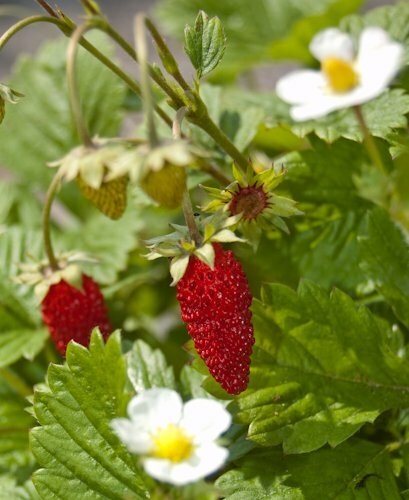 One plant, however, got special dispensation: a fraises-des-bois. 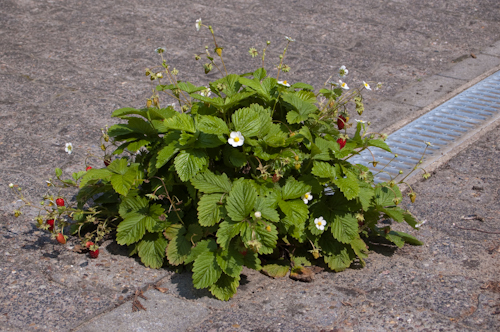 Probably planted in this strange spot by the birds, the little strawberry plant is positively thriving on our parking lot. These wild strawberries are something that I’d heard about, but never tried until moving away from the US. The fruits are small and a bit dry, but have an incredibly intense aroma of strawberries that’s a little deeper and less astringent smelling than the usual garden ones have. These seem to produce fruit continuously through the summer. 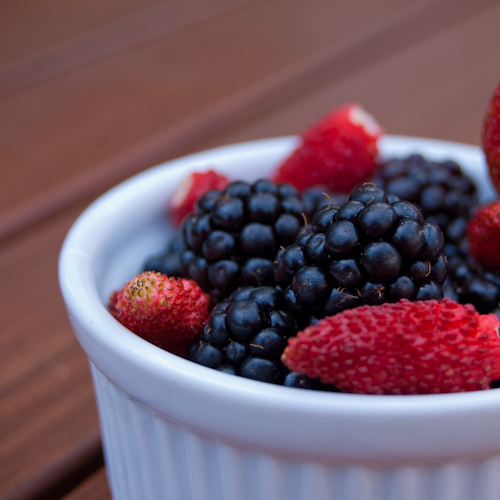 I'm thinking of planting a few of the fruit to have enough for a basket, if we can keep ourselves from eating them all. The neighbors with the chickens don’t really take care of the land where their flock roams, so there are brambles that keep invading from over the fence. I was so busy with reshaping the front yard that I did’t notice how big and established the brambles got until they were heavy with flowers. Since there was such an enticing promise of fruit, I left them, and I’ll try to control the invasive tendencies in the fall. 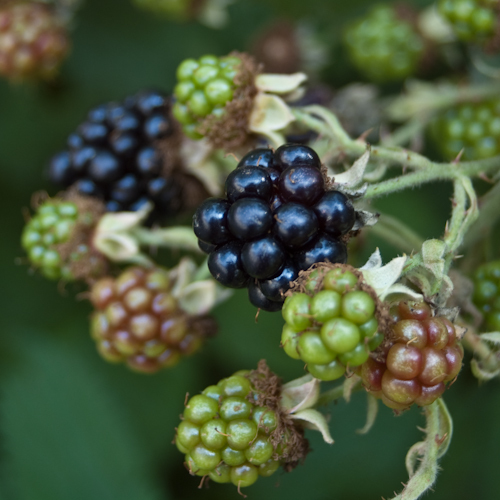 The brambles are just starting to ripen. 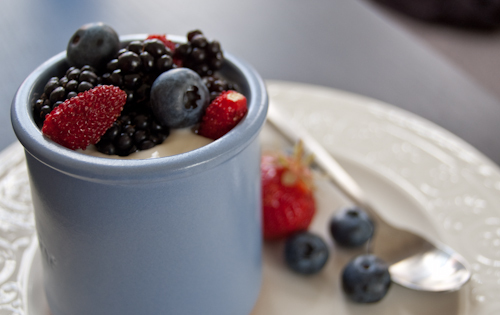 What better way to enjoy these lovely weed-fruits than on fresh plain full-fat yogurt, with a little maple syrup for sweetness. I added some store-bought blueberries since our plant is still too young to produce any.